The next item from our MARY’s secret ingredients winter box is this adorable set of 3 different bitters. What do you do with bitters? Make fantastic cocktails, of course! They have lots of recipes both on their website and in the box. However, I’ve used one of them – the Colonial bitters – as a finishing touch in this amazing fish stew! 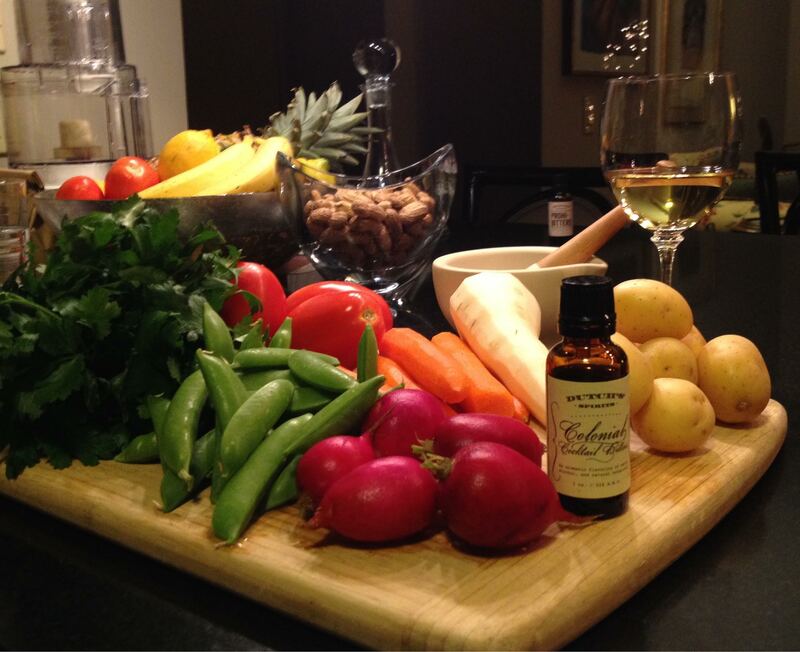 Try this Dutch’s Spirits Colonial Bitters Cod Fish Vegetable Stew on a cold winter’s night and everything will warm up, I guarantee!! I love the packaging – particularly the hats! 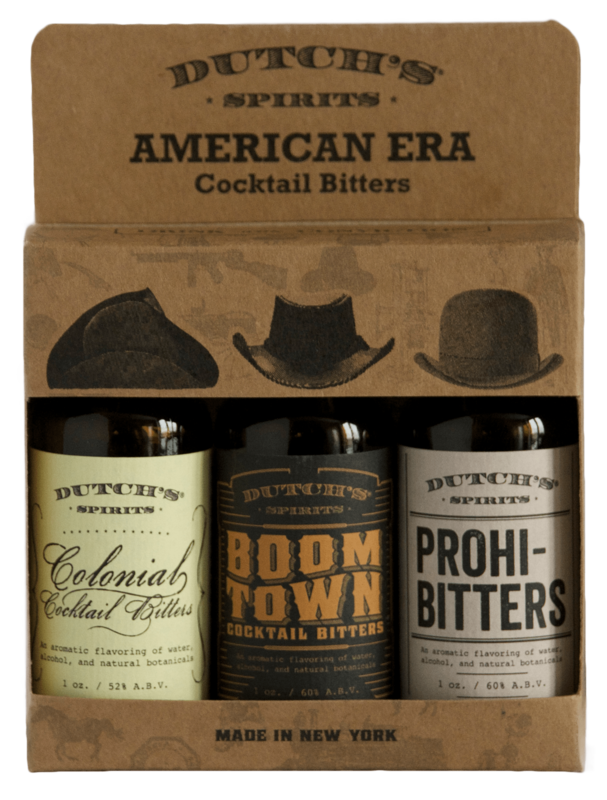 Dutch’s Spirits may be a new company, but they have a rich history. Their home – a distillery, farm and upcoming restaurant – was actually the former property of bootlegger and gangster, Dutch Schultz, until the Feds busted him during prohibition in 1932. Isn’t that so cool? The distillery was underground and had an extensive network of interconnected tunnels and bunkers to make the booze then move it out for sale. This property is literally five minutes away from our home upstate. We can’t wait until it opens to get the full tour! Now, back to food. Try this stew. It is so good, so healthy and has a unique flavor from the bitters. Just add three dashes to each bowl righ before serving, mix around and voila! The Colonial bitters is made up of juniper, allspice, orange, cinnamon and lavender among other things so it goes beautifully with Herbs de Provence. It was a perfect combination!! The vegetables in this stew. 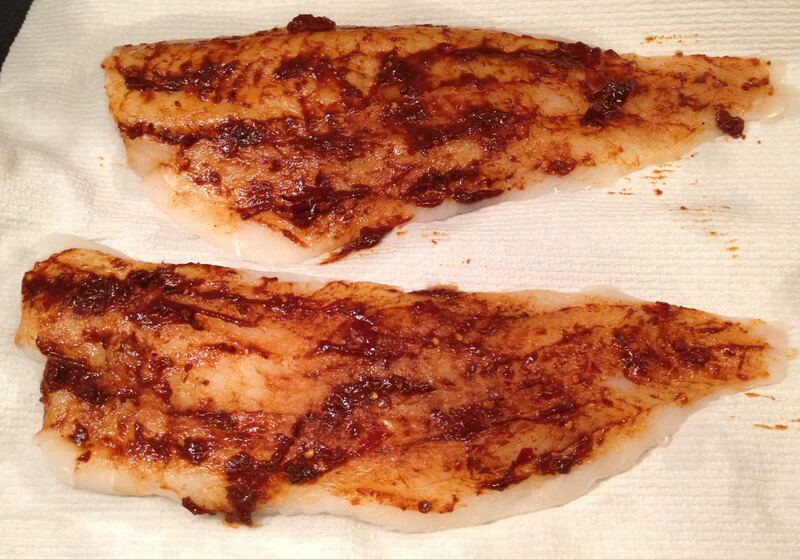 Spread harissa all over the cod on one side and let sit for 20 – 30 minutes. 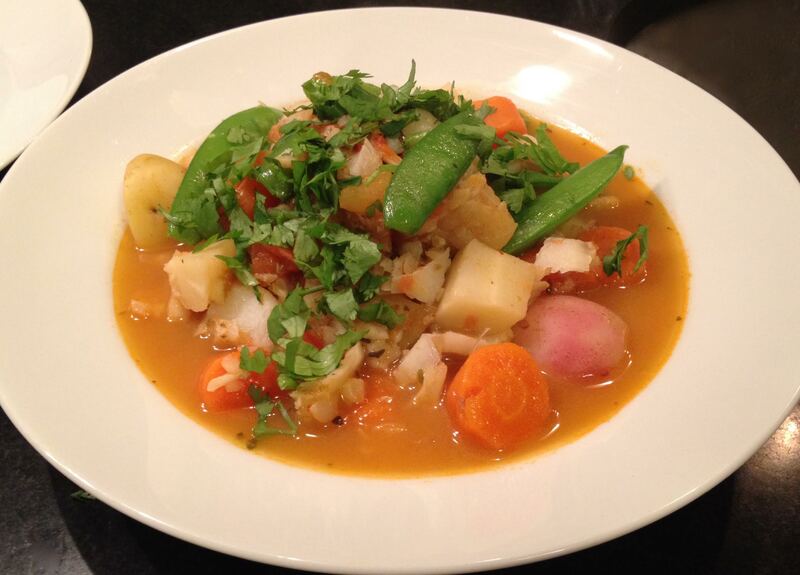 Place broth, wine, carrots and potatoes in a medium-sized skillet, and partially cover, then bring to a simmer. Simmer for about 6 minutes. Add herbs de Provence, radishes, parsnips and tomatoes. Partially cover and simmer for 15 minutes. Scrape some of the harissa off of the fish. Cut the fish into large chunks. Add the fish to the skillet and simmer for 3 minutes, gently turning in the skillet. Add the sugar snap peas and simmer for 3 more minutes. The sugar snap peas should still be crisp but the rest of the vegetables should be tender. The fish should be moist but opaque and flake into sections when gently separated with a fork. Salt to taste. Portion out the stew and stir 3 drops of Colonial Cocktail bitters into each bowl. Garnish with chopped cilantro and serve with LOVE! This is a nice and hearty stew! my kind of meal. Look at all those colorful veggies, Yum! This stew was DELICIOUS!! Do try it – you will love it, Raymund! Happy Holidays!! 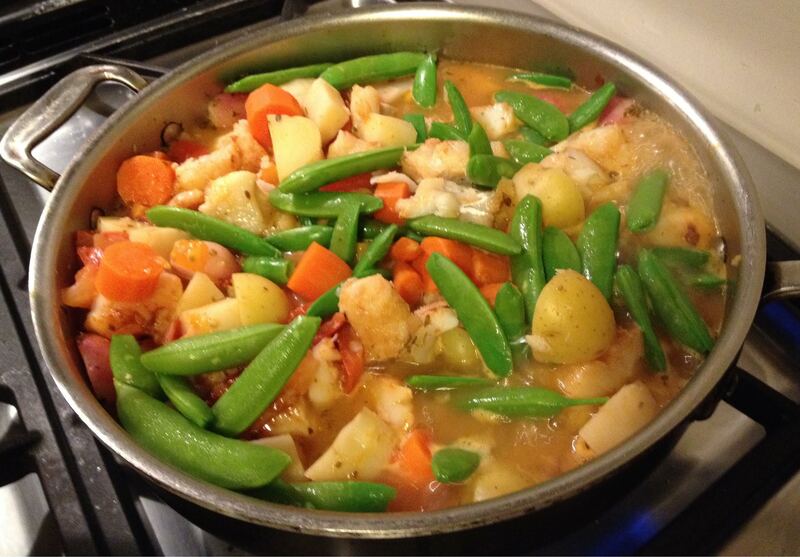 Lovely looking stew Mary Frances. I’ve been dying to start experimenting with bitters, but I never even considered using them in things like stews!